Public schools employ thousands of teachers. Because these jobs are funded by tax revenue, the terms of employment are public information. Information relevant to the State of New York can be found on the website of the New York State Department of Education. Teachers’s jobs in public schools are relatively stable (sometimes there are layoffs, especially when an economic crisis rolls around). In the New York State, teachers are unionized, which means that their benefits are guaranteed by contract with the State. They receive pension and health benefits as well. Teaching in public schools means that you can be a part of an enormous process through which millions of young people gain access to education, get excited about knowledge, and enjoy an opportunity to live a good, healthy life. On the downside, public school systems are enormous bureaucracies (of which the one in the New York State is a notorious example). In order to ensure uniformity of instruction and curricula in schools, individual classrooms can sometimes become the battlegrounds for political and administrative issues. Since the funding is tied to political decisions, sometimes the conditions in which teachers work become far from ideal: classes get huge and pay seems inadequate for the challenges teachers face. Teaching in public schools definitely requires a degree of social idealism and modesty when it comes to financial remuneration. What keeps good teachers going is the knowledge that they are teaching kids how to learn and how to enjoy knowing the world around them. 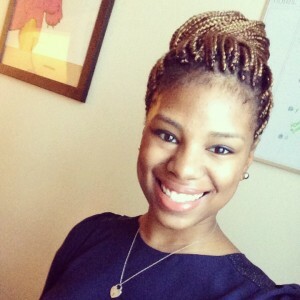 Our Alumna Laquasia Wilkins (2014) teaches 10th grade English in Chicago. I am a sophomore English teacher. I work with other sophomore teachers to create a unit plan, and then I create lesson plans for my classes. Afterwards, I teach each lesson for an hour and twenty minutes. I also attend weekly meetings with teachers and administration. PROS: The best part of teaching is seeing student’s reactions, when they achieve what they previously thought was impossible. I really like teaching, because I still get to read and write, in some form, about literature everyday. CONS: I believe the unfavorable parts of teaching are endless grading and administrative meetings–I prefer to engage with students. It is hard to narrow down the skills that I learned and use everyday. I want to say everything about being an English major prepared me for my job as a teacher. It would be impossible to break down a text, if I did not know how to analyze literature. Additionally, it is extremely easy to teach students how to write focused, five paragraph, essays, since I was instructed very well on the process of writing effective essays. I believe I learned how to do this job through taking classes with Professor Katz, who taught me how to teach someone else to write strong papers. Her classes were helpful towards making me a better teacher, because knowing how to do something and knowing how to teach something are two different things. I also learned teaching skills through being a member of the CUNY Service Corps, because the director of my placement allowed me to teach one of her classes twice a week. I learned how to stand in front of classrooms full of students with confidence, and confidence is important when you are teaching at an urban school. I can be more detailed in this response, but I’ll try to keep it short. Students should apply for the CUNY Service Corps and choose the education route. Want to hear about other teaching experiences? 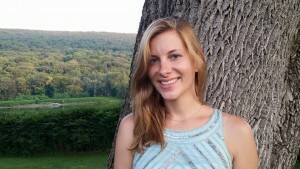 Alumna Marlena Nadler (2011) teaches 12th grade English at a New York City school. I teach 12th grade English and 8th grade Service Learning at The Young Women’s Leadership School of Astoria (and I coach the middle school volleyball team and coordinate service learning at the school, too). I write curriculum and lessons, teach, collaborate with other teachers on spiraling our rubrics and grading to ensure rigor and scaffolded learning. I advise the students, both during advisory and all other times they need help. I grade, and grade, and grade. I email, and email, and email. When a student has mastered a skill or grasped a concept and lights up, I as a teacher light up, feel inspired, and there is no better feeling. Working with young people and guiding them towards academic and interpersonal success is also rewarding in and of itself. The cons are the long hours, the guilt one feels when she does not work at night or on the weekend or during a break, the lack of appreciation from parents, administration, and students (although not all members of those groups), and the general stress from an unmanageable workload due to the way in which the system is set up (8 periods a day: 5 classes, 1 prep, 1 meeting, 1 “lunch”). I learned how to gather evidence to support claims in my writing, how to perform research, how to proofread, revise, edit, how to peer-edit, how to use classroom discussions to inform my writing and thinking, and many other things! Through a one-year teaching residency, which has morphed into the NYC Teaching Collaborative program. I also learned through working with academic coaches, peers, lead teachers, and by trying to reflect on my work to improve it the next time. I was accepted to the NYC Teaching Residency for School Turnaround (now the Teaching Collaborative) after graduating from John Jay and completed yearlong residency. I then worked at a failing school that, during my year there, was set to close. I decided to apply to my school because I lived nearby. I interviewed, performed a demo lesson, and was hired. Speak to teachers, visit classrooms, ask teachers if you can do a formal or informal internship under them to learn what the job is actually like. And, improve your own writing by proofreading and revising! Any public school in the United States will require you to be a certified teacher. What this means is that you have to have a Master’s degree in education with an emphasis on a subject area at a particular education level. For example, you can get certified to teach English in elementary or in high schools. Certifications are issued by individual states. This means that a teacher who wants to move to a different state may have to get re-certified. 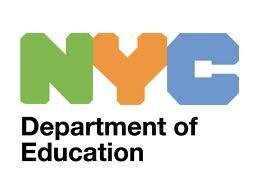 Public schools in New York City are regulated by the New York City Department of Education. Their website offers a Teacher Page, from which you can find out the most up-to-date information about certification for all school personnel, from teachers to counselors, principals, and teaching assistants. All certifications in New York State are regulated by the New York State Department of Education, on whose authority the certifications are issued. Those who live in New York City and wish to get certified to teach in New York City public schools have several institutions available in the city whose programs meet certification requirements. We provide a provisional list of these programs, and recommend that you contact the programs directly for the latest information about requirements and deadlines. New York City Teaching Fellows is a program in which participants receive mentoring as they prepare to become teachers in NYC public schools where the students’ needs are the greatest. This program provides practical teacher training, provides the community of other fellows, and pays for the participants’ teaching certification (i.e., a Master’s Degree in education). The program looks for fellows who “share a common commitment to raising the academic achievement of children living in poverty. Strong applicants will demonstrate a track record of success in past endeavors, perseverance in the face of challenges, an ability to think critically, a desire to grow professionally, and an openness to collaboration and feed-back.” U.S. citizens and permanent residents who hold a Bachelor’s degree are eligible to apply. Online applications for next year’s program become available in the early fall and require additional documents. 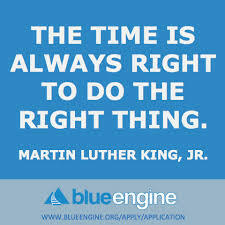 Blue Engine partners with public high schools to prepare dramatically greater numbers of low-income students for postsecondary success. The organization bases its activities on carefully thought out ethical and pedagogical principles, including the idea that “Everyone deserves the opportunity for prosperity through education. It is a national imperative that we prepare dramatically greater numbers of students from low income communities to succeed in higher education and give them the opportunity to attain postsecondary degrees.” An affirmative article in the New York Times explains that this organization “recruits and places recent college graduates as full-time teaching assistants in high schools, helps teachers shift to a small-group classroom model with a ratio of one instructor for roughly every six students, uses data tracking to generate rapid-fire feedback so problems can be quickly addressed, and provides weekly instruction in ‘social cognition’ classes, where students are introduced to skills and concepts — such as the difference between a ‘fixed’ and a ‘growth’ mind-set—that can help them grasp their untapped potential.” You should consider the program benefits as you think about this opportunity. John Jay English Department has an informal collaboration with a New York City public school where you could get some first-hand experience of public school teaching from the teachers’ end of the room. (This is very different from sitting in a student chair!) You could visit the classes, work with the teachers on preparing the lessons, and work with students on their class work. If you are interested in participating in this collaboration, speak to an English major advisor who can put you in touch with a teacher at the school.